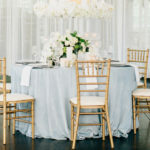 I Do Linens offers luxurious table linens that combine fashion forward fabrics and textures with attention to detail and fit. 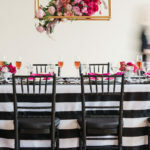 We help create your special event by coordinating color palettes and sourcing unique fabrics that will reflect your style. 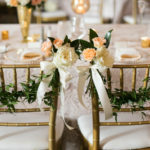 Along with our custom linens, we have an extensive inventory of linens, ranging from fitted estate linens, coordinating napkins, overlays, table runners, custom chair covers, chair ties and caps that are available to rent for your wedding and special event. 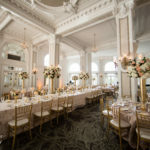 Ultimately, we are known for our unique fabrics and have an astounding reputation for making sure our clients are pleased with our perfectly pressed linens and our attention to detail. 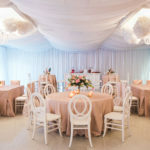 We do offer full service installation, which includes a full steaming of each linen to ensure a flawless event. 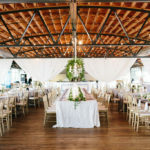 We offer nationwide and international shipping with full installation services in select areas. 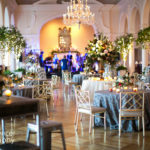 In addition, we also create event graphics which are perfect for adding color and your own personal touch to your special occasion. These can be applied to dance floors, windows, chair backs, and chargers. 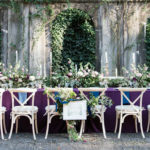 We look forward to working with you to create your own personal styled event.